Pier 7 is a fun place to go visit in wedding dresses. 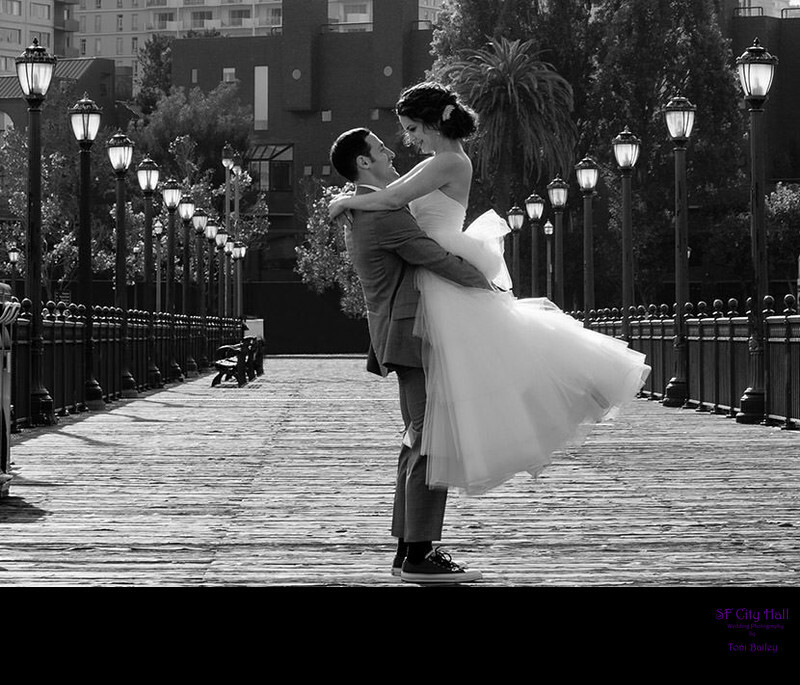 This groom picked up his bride for a fun photo on Pier 7 after their City Hall Wedding. The row of lanterns along the wooden dock create a dramatic San Francisco feel. We thought this particular image would look great in black and white.